As an airline pilot who has gone through the family court system too many years to remember, I’m asked frequently what custody arrangements should be used from fellow divorcing airline pilots. The answer initially depends on how far the pilot lives from his children. If the pilot lives more than an hour’s drive or so away, alternating weekend possessions don’t work. Instead, request the ability to choose two weekends per month in your decree. If the pilot lives in the area of the children, however, then approximately 50% of the time the children should be legally allowed to be with him or her. The problem is our irregular schedules, and getting the legal system to understand how they interfere with seeing our kids if a standard visitation template is given to us. Most judges really don’t understand the changing schedules of pilots, firefighters, police officers, doctors, etc. They’d prefer to just approve a standard visitation template to make their jobs easier. This is where you need to find an attorney who understands variable possession orders, or airline employee possession orders (each state has its own name for it). As an airline pilot, you’re aware that there are rare flying jobs with a typical 8am to 5pm schedule that most workers have. So a standard visitation order of alternating weekends (first, third, and fifth weekends typically) or weeks will not work for the vast majority of pilots. So this is what you need: a variable possession order based around the airline pilot parent’s schedule. The alternative is severely diminished time between you and your kids. The best way to go about this is to hire a family law attorney who’s familiar with these types of custody arrangements. This is critical. If he or she is board certified, all the better. If you don’t hire a family lawyer, your lawyer’s lack of knowledge in this area could result in a decision by the judge that steers towards the default standard possession order. Once you hire an attorney, help him or her draft the language in an order to best enable you to see your kids on your off days. Many attorneys don’t understand the kind of schedules we have. This is your decree and your kids, so take an active part in making sure the language doesn’t hurt your ability to see them. The important point is this: you and your attorney should demand a decree that offers possession of your kids on all or most of your days off, up to a maximum of 15 days per month. 50/50 physical custody, or as close as possible. Seeing both parents equally, or as close to it as possible, is clearly in the best interest of your children— a standard used by every state. Don’t expect your ex to agree to this, however. There are many, many ex’s who will try to limit your ability to be with your kids. We request a variable possession order based on father’s employment as an airline pilot for __________. Get an HR or chief pilot to testify on your behalf. Their scope is narrow: back up your assertions about the type of schedules you fly, how your seniority affects this, etc. If your ex opposes an airline pilot possession order, expose the fact that this effort is all about HIM or HER and NOT the children. If 50/50 visitation is not fair for both sides and the children, what exactly is? 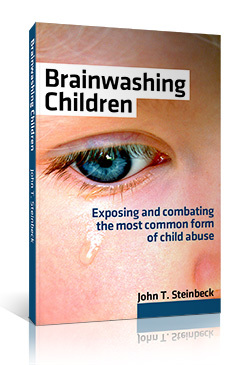 Don’t underestimate your ex-spouse’s ability to brainwash your children to resent or outright despite you during the days and weeks you’re absent. It’s no accident this article is on a blog dealing with parental alienation. I have noticed that in the majority of airline pilot divorces that the ex does not go along willingly with this visitation arrangement. So be prepared to have to fight this in the family court system. You and your kids should not be penalized by your employment as an airline pilot. Fight for the common sense right to see them as much as they see their other parent.